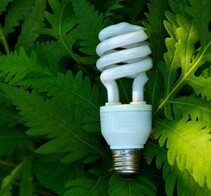 Concerned about rising energy demands and costs? Join experts and colleagues at the Indiana Conference on Energy Management for the latest updates, forecasts and trends regarding energy issues. Learn how to cut costs while remaining compliant and see what’s coming down the pipeline during the day-and-a-half conference (July 31-August 1) at the Hyatt Regency Indianapolis. Choose from among 12 sessions and attend two keynote presentations, a roundtable lunch and reception. Browse and network at the concurrent Expo. The program is ideal for facility and energy managers, plant operations managers, maintenance supervisors, energy aggregators, energy engineers, utility company managers, governmental affairs managers and others. Registration is $399 for Chamber members with a special $199 rate for government employees. Register two or more and receive a 20% discount. The conference is sponsored by Indiana Michigan Power along with Ice Miller, Apex Clean Energy, MacAllister Power Systems, EDF Energy Services, Vectren, Cummins, Inc., Citizens Energy Group, Geronimo Energy, Country Mark and NIPSCO. Additional sponsorship opportunities are available. Contact Jim Wagner at (317) 264-6876 for details. Preview the complete agenda, register or call (800) 824-6885 for more information. 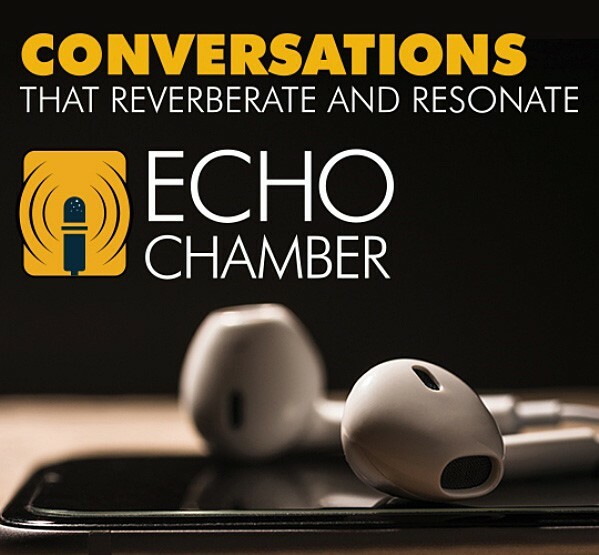 Chamber Unveils Podcast: EchoChamber is Now Live! Subscribe at iTunes, GooglePlay or wherever you get your podcasts to be notified about the latest interview. 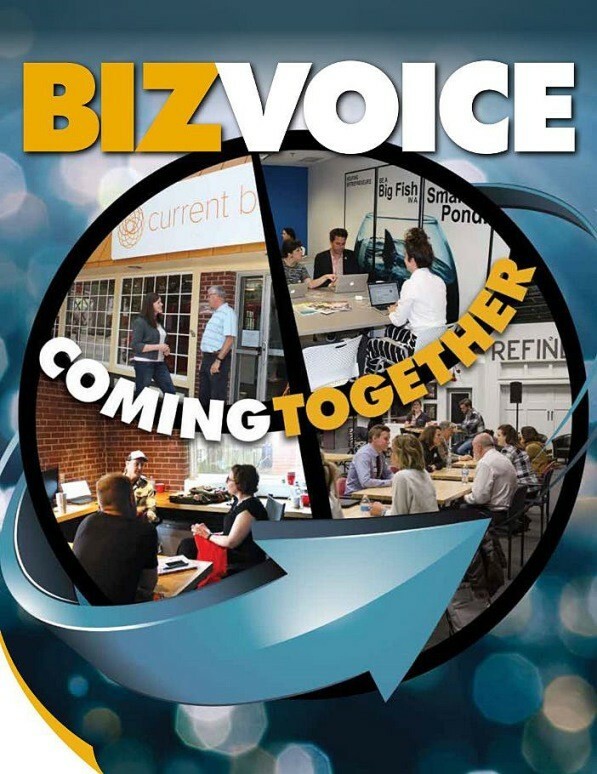 The new BizVoice is now live! We have articles on co-working spaces throughout Indiana, energy storage, government, cybersecurity and more. Read the online edition. You can also subscribe to receive a hard copy every other month. I&M understands that small business owners don’t have the time or resources to focus on anything but the growth and nurturing of their businesses. That’s why they are offering assessment tools and incentives to help small business owners improve the efficiency and appeal of their businesses. With up to $3,000 per business site available to upgrading lighting, refrigeration and other equipment, the I&M Small Business Energy Tool will help you control your business operating costs and, for many businesses, increase productivity and improve product appeal. No matter your business – grocery store, gas station, or professional services firms – upgrading to high-efficiency lighting makes employees more productive and makes customers feel more welcome. It gives your business a fresh, modern look while reducing overall costs. All it takes is 10 minutes to get you on your way! Visit the I&M Small Business Energy Tool today to get a customized energy report for your business, and to find out what financial incentives you qualify for to implement the recommended upgrades. An I&M representative will then follow up with you to personally answer questions and assist you with getting started. Federal Report: Keystone XL Pipeline Moves Forward and Other Notes from D.C. Finally! The long-sought approval for the Keystone XL oil pipeline is in sight. For years, the Indiana Chamber has advocated for the pipeline, which would ship crude from Canada’s western oil sands region to refineries on the Gulf Coast. This action by the Trump administration reverses one of former President Obama’s most politically charged environmental decisions that came more than a year ago, when construction of the 1,200-mile pipeline was blocked. Congresswoman Jackie Walorski (IN-02) helped kick off a small business workshop in South Bend. More than 275 local small business owners attended the Boost Your Business event hosted by Facebook, the National Association of Women Business Owners (NAWBO) and the South Bend Regional Chamber of Commerce. She also participated in a Facebook Live discussion about women in small business with Tanya Allen of NAWBO. Check out the video! The U.S. Chamber of Commerce honored 266 members of the U.S. House of Representatives and 55 members of the U.S. Senate with its annual Spirit of Enterprise Award, given in recognition of their support for pro-growth policies in the second session of the 114th Congress. All Republican members of the Indiana delegation and U.S. Senator Joe Donnelly were given this prestigious honor. The award is based on votes given on critical business legislation as outlined in the U.S. Chamber’s scorecard, How They Voted. Congressional members who supported the organization’s position on at least 70% of those votes qualify. This go-round, the U.S. Chamber scored members on eight Senate votes and 14 House votes related to access to capital for small businesses, ensuring our workforce has the skills necessary for the jobs of tomorrow and helping American manufacturers compete in a global economy. In addition, votes in support of building the U.S. water infrastructure system, protecting intellectual property and updating energy policy also factored into scoring. Last week, Congresswoman Susan Brooks (IN-05) voiced concern about a rising drug issue before the House Committee on Energy and Commerce’s Oversight and Investigations Subcommittee. The focus was on combatting the next wave of the opioid crisis: fentanyl. That drug is 50 times more potent than heroin and 100 times more potent than morphine, and has contributed to more than 5,000 overdose deaths in the U.S. since 2013. This hearing builds on the work from last Congress to combat this crisis. Watch Rep. Brooks’ remarks delivered during the hearing. The Republican-led U.S. Senate voted last Wednesday to block an Obama-era rule that critics said would have led to more citations for workplace safety record-keeping violations. Senators voted 50-48 to block the Occupational Safety and Health Administration rule. The House had voted to do so previously. Employers are required to maintain a log of workplace injuries and illnesses that occur during a five-year span, but an employer may only be cited for failing to keep proper health and safety records within a six-month window. Critics said the Obama administration was trying to extend the penalty window to five years, describing the rule as “an unlawful power grab.” But labor groups, including the AFL-CIO, said the six-month restriction makes it impossible to enforce the record-keeping requirements since the federal government doesn’t conduct regulator inspections of even the most hazardous workplaces and won’t likely find a violation before the window has expired. The labor union said the Obama administration’s rule created no new obligations, but simply made clear that employers have a responsibility to maintain accurate injury and illness records for five years and during this time can be held accountable for violations if the records are inaccurate. The sponsor of the legislation, Rep. Bradley Byrne, R-Alabama, applauded the Senate vote, saying “we should be focused on proactive policies that help improve workplace safety instead of punitive rules that do nothing to make American workers safer.” The legislation goes to President Donald Trump for his signature. Representative Trey Hollingsworth (IN-09), along with Rep. Kyrsten Sinema (AZ-09), introduced the Fostering Innovation Act last week. This bipartisan legislation slashes burdensome regulations that hinder companies that operate on the very edge of scientific and medical breakthroughs. “Indiana is leading the way in medical device and biotech innovation,” said Rep. Hollingsworth. 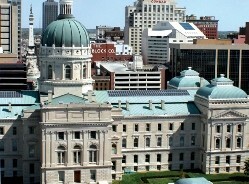 “This bipartisan, commonsense reduction of burdensome regulations will empower many industries throughout the Hoosier state to devote more resources to product innovation, research and development.” At this time, emerging growth companies (ECGs) are exempt from certain regulatory requirements for five years after their initial public offering. One of the requirements EGCs are exempt from is Sarbanes-Oxley Section 404(b) which requires public companies to obtain an external audit on the effectiveness of their internal controls for financial reporting. 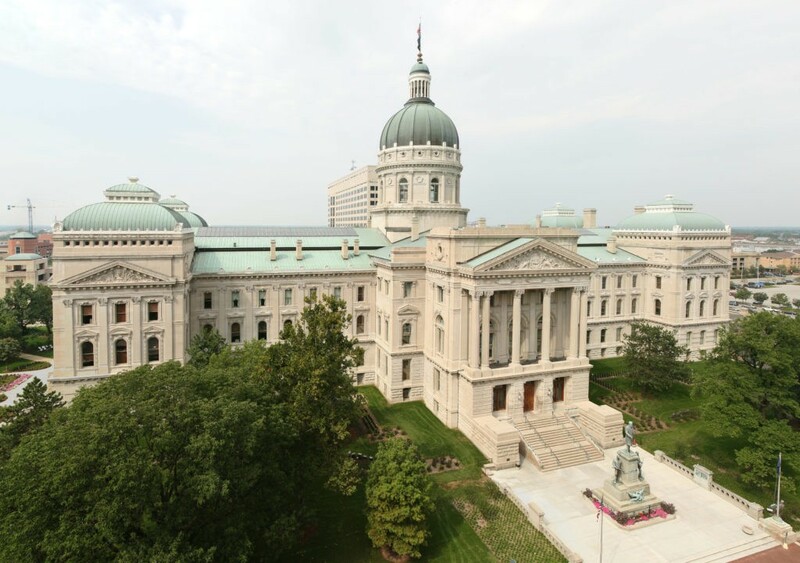 Three amendments were recently offered to SB 309 and approved during last week’s hearing – two by Rep. David Ober (R-Albion) and one by Rep. Ryan Hatfield (D-Evansville). One amendment clarified who qualified as an applicant for a CPCN, one for the study of self-generation by schools and one changes the deadline of installation to receive the 30-year grandfathered rate to December 31, 2017. The Indiana Chamber testified in support of the bill and tried to clarify some of the confusion over net metering (no one is trying to kill the solar industry). We also expressed some of the concerns that some members have over co-generation (that they would like more flexibility). We emphasized that we do not want the bill to fail because it is truly a compromise of long-standing issues that industrial users and businesses, as well as residential ratepayers, have had with Indiana’s investor-owned utilities. It will not fix all concerns our members have expressed, but is a first step in helping businesses control costs and building a statewide energy plan. 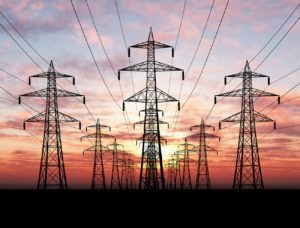 It will serve as a building block of the Chamber’s efforts to maintain Indiana’s competitive edge when looking at energy costs that have risen over the past decade. On March 22, the House Utilities, Energy and Telecommunications Committee heard nearly a day of testimony on this bill in a full House chamber from many groups and individuals, both in support and against the bill. No vote will be taken until Wednesday. The energy revolution continues to bring good economic news to an otherwise anemic economy. For years, we’ve been arguing that America’s energy revolution will bring jobs and investment to our economy. Now, there’s a new example to demonstrate just how true that is. At the annual CERAWeek 2017 conference, ExxonMobil CEO Darren Woods announced a new Growing the Gulf initiative to increase its manufacturing capabilities in the Gulf Coast region. As part of the initiative, the company will be investing $20 billion to build or expand 11 different facilities – creating 45,000 new American jobs. So why is a giant company best known for oil production investing so much in manufacturing? Last year, the U.S. Chamber’s Sean Hackbarth captured the essence of how America’s energy revolution has sparked a manufacturing revolution as well. The natural gas, crude oil and gas liquids being produced across the country in record amounts are the chemical building blocks to products we use every day, from clothing to cosmetics to pharmaceuticals. One needs to look no further than the aisles of a department store to see all the plastic products, and that plastic comes from natural gas and oil. Sophisticated high-tech manufacturing facilities turn these energy resources into the products we buy every day. As we produce more home-grown energy, it is leading to more home-grown manufacturing as well. 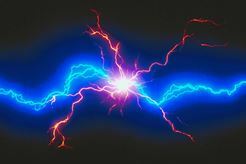 Plentiful energy resources are making it less expensive to build products in the United States, and those same resources are also providing the electricity needed to run manufacturing facilities at reduced costs. All this manufacturing means more choices for American consumers, and it gives us an opportunity to export products. Domestic U.S. manufacturers are now competing all over the world, helping to reduce our trade deficit and creating jobs back at home. As a result, the United States, and especially the Gulf Coast, is becoming the epicenter of a manufacturing renaissance – exactly as we predicted. In 2014, we launched our “Shale Works for US” campaign, which included a report produced with IHS CERA that quantified the far-reaching benefits from the shale revolution. It is important to note that because of our national supply chain, the benefits from investments reach each and every state, and in turn bring jobs, revenues and benefits to every corner of our nation. It’s exciting to see these predictions borne out, and it’s a continued sign that America’s status as an energy superpower will help bring prosperity to us all – while driving innovation and technological advancement that help make America an economic superpower as well. 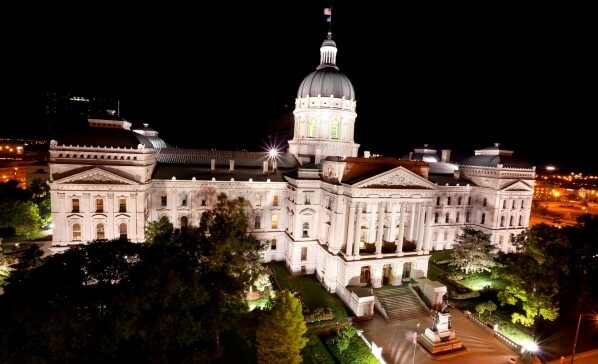 HB 1230 (Regulation of Coal Combustion Residuals) was signed into law by Gov. Holcomb last Thursday. 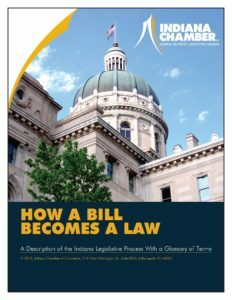 The Chamber testified in support of this bill during the committee hearings and continued to advocate for its passage. This bill makes corrections to existing law to allow the Indiana Department of Environmental Management (IDEM) to have delegated authority from EPA regarding disposal of coal combustion residuals (CCR). The EPA had primacy over Indiana businesses that have CCR disposal issues.